This new line of air cleaners was created to perfectly match our popular classic aluminum finned valve covers. Three models for single or dual-quads give you plenty of options for that “just right” look on any nostalgia rod or muscle car. 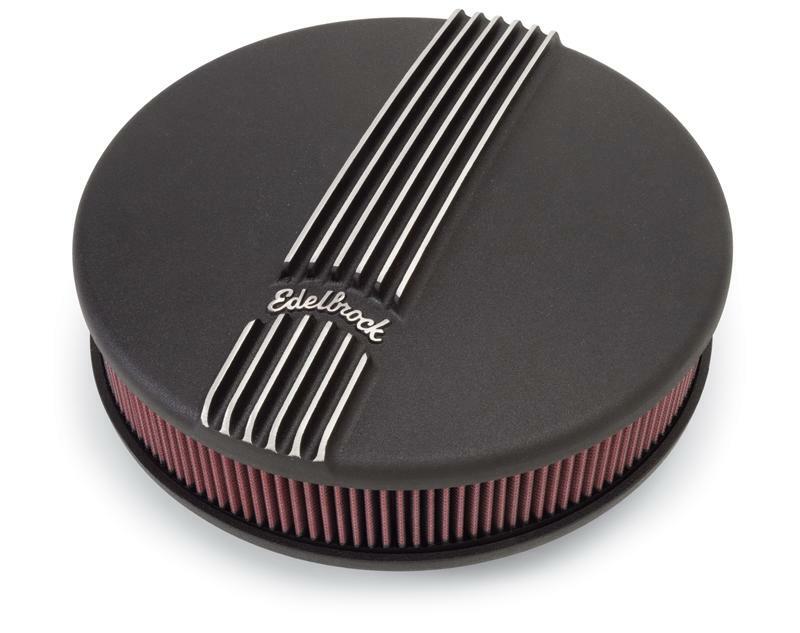 Additionally, the small oval air cleaner provides adequate hood clearance in demanding applications as well as a coordinated appearance with the classic finned look. Our classic series air cleaners are available in either a classic polished aluminum or durable black powder coated finish. They come with medical grade, pre-oiled cotton gauze element for excellent filtration. These air cleaners work with all popular 5-1/8” necks, for all carburetors or throttle bodies.